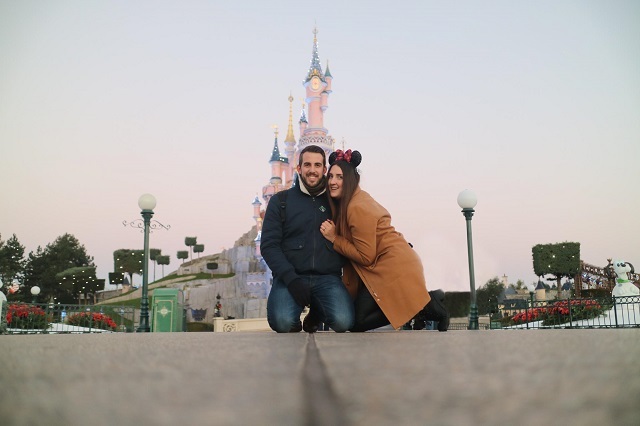 Spending 5 Days in the parks was perfect, especially as it was over a Weekend- not something I'd usually recommend, but the timings worked out. Saturday and Sunday were certainly very busy, but it left us strolling around the park and enjoying the small things- something I adore doing at Disney. During the week we got many rides done, were both first and last on Main Street, met amazing characters dressed up ready for Christmas and welcome us into the magic. 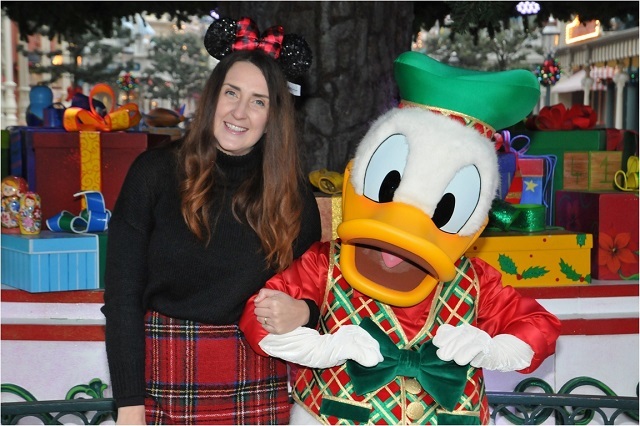 Of course meeting Donald was on the must list, and I met him every morning, even skipping away with him and making my mornings so happy. As the temperatures dropped drastically from the week before (and so it seemed the week after) Sam and I took great delight in popping into Disneyland Hotel a lot, to warm up and enjoy a hot chocolate or cocktail at Cafe Fantasia. 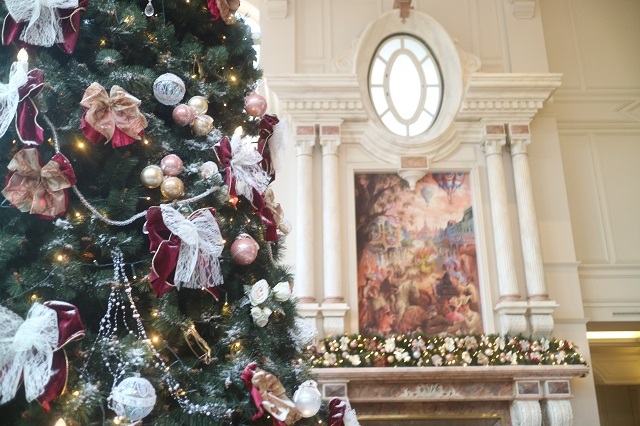 Disneyland Hotel was also full of Christmas decorations, it's own tree and even a ginger bread house. It had the same gorgeous Disneyland Hotel scent, mixed in with spice and cinnamon bringing everything perfect with Christmas, altogether. Staying at Hotel Cheyenne on this trip, one of the more budget friendly resorts, but still lovely and greatly themed. 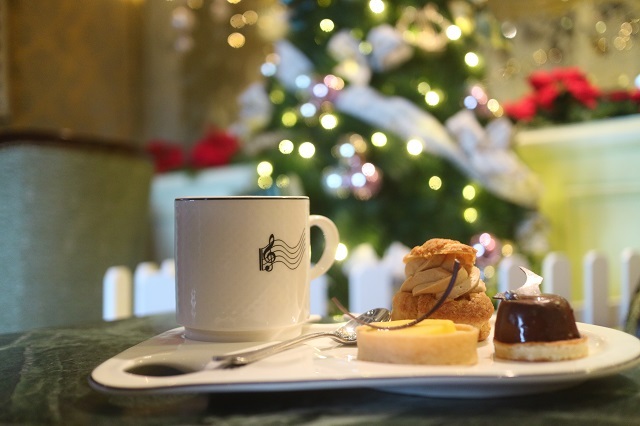 It even had a Christmas tree and decs hung all over, making it a really festival and wonderful time to visit. Upgrading to a "Woody" room, it was really perfect for what was needed, and lovely that it had just been refurbished too. 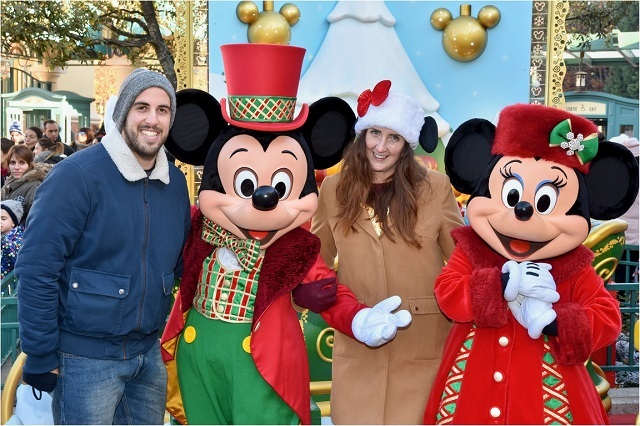 Disneyland Paris really do go all out at Christmas, with different shows and parades on. The particular favourite was Goofys Jingle Bell Band...and yes, it was as awesome as it sounds. 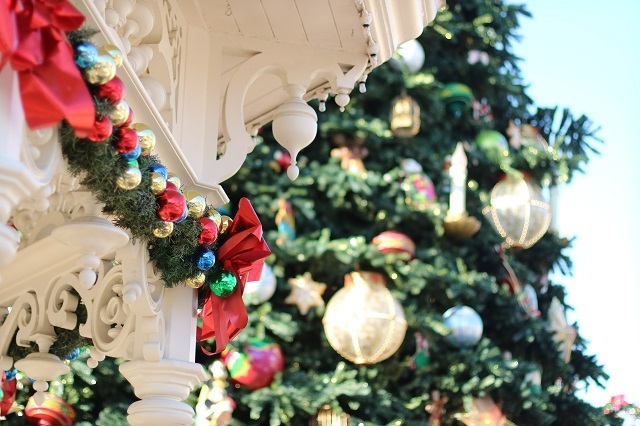 The photos from the trip to Disneyland Paris at Christmas, are some of my favourite. 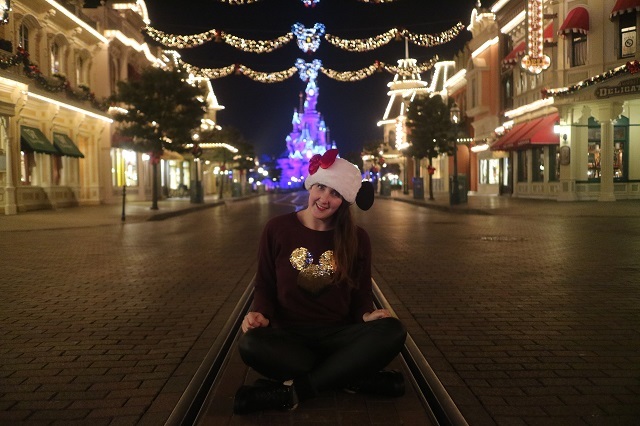 The decorations and lights made for the most perfect park photos, and everything felt even more special with a Christmas Minnie hat on.